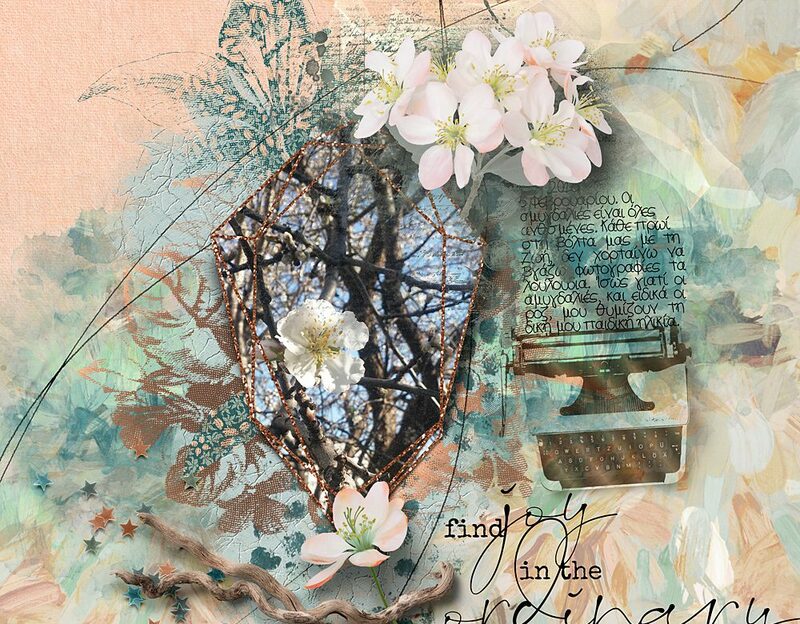 This is Cindy sharing a layout from the Eclectic Collection that is now available at The LilyPad. When I saw the beautiful blossoms in the Artsy Bits & Pieces pack, I instantly thought of this photo. It’s an almond tree that had just started to bloom in early February of this year. 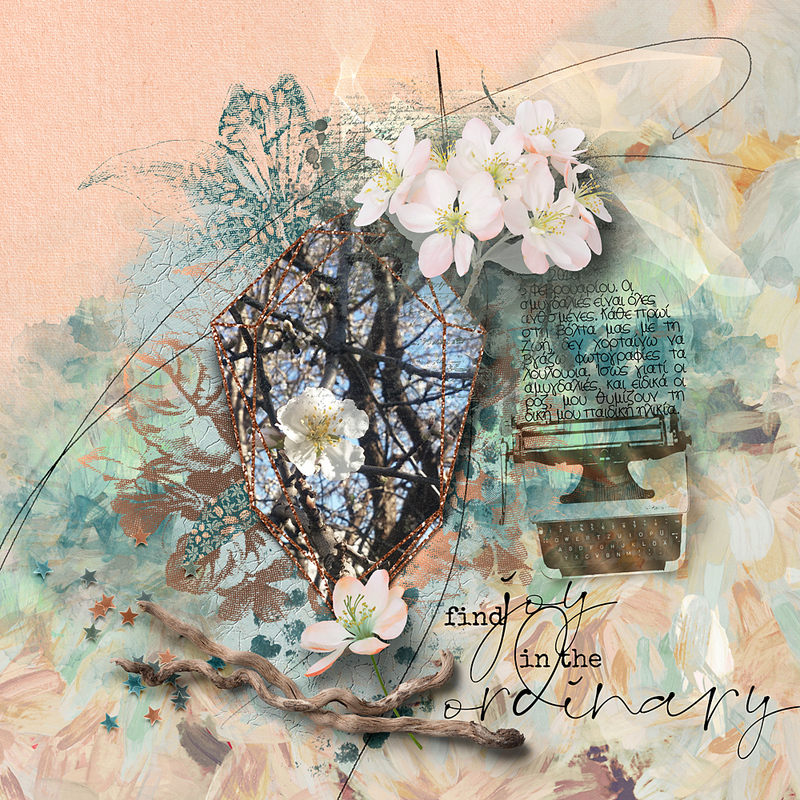 I used one of the weekly templates of the collection, and finished my layout by applying styles to the template’s layers (the cracked paint is my favorite! ).